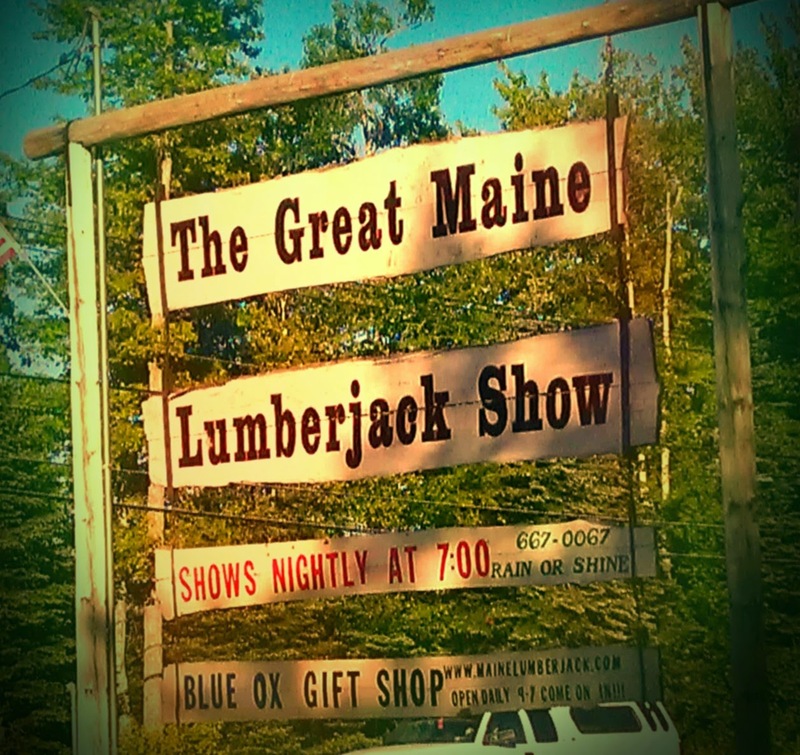 The Great Maine Lumberjack Show is Run by "Timber Tina" Scheer, a world champion "Lumberjill" and a past contestant on the Reality Show "Survivor" During the research phase of planning the trip, I had read about the Lumberjack show, and let the girls know. It was a "maybe" on our list, and we were all glad we went! 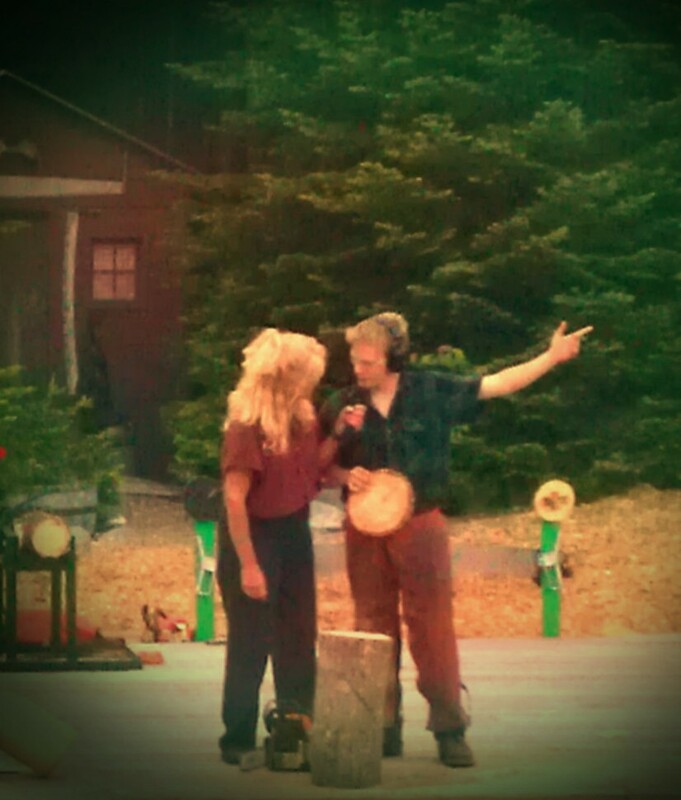 We learned about the saws lumberjacks use to use, and some of the skills they employed in the early days of logging. 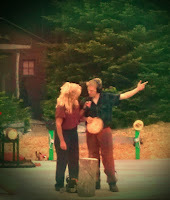 Timber Tina really made the show fun, even thru some technical difficulties, and especially included kids in the fun. Some of the skills shown were timber climbing, single and two person cutting, and carving with a chainsaw. Jeremy, one of the young men in the show - had his mother attending, and Tina made sure she was included in on some of the jokes that were part of thier script. 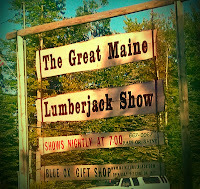 The show was local, funny, entertaining and educational. If your in the Bar Harbor Area - Check it out!